How strange these representations become when they are at their limits. Their dullness is fascinating in its own right, as if transcendence were secretly boring. James Elkins, Six Stories from the Edge of Representation. Click / hover on images for captions. 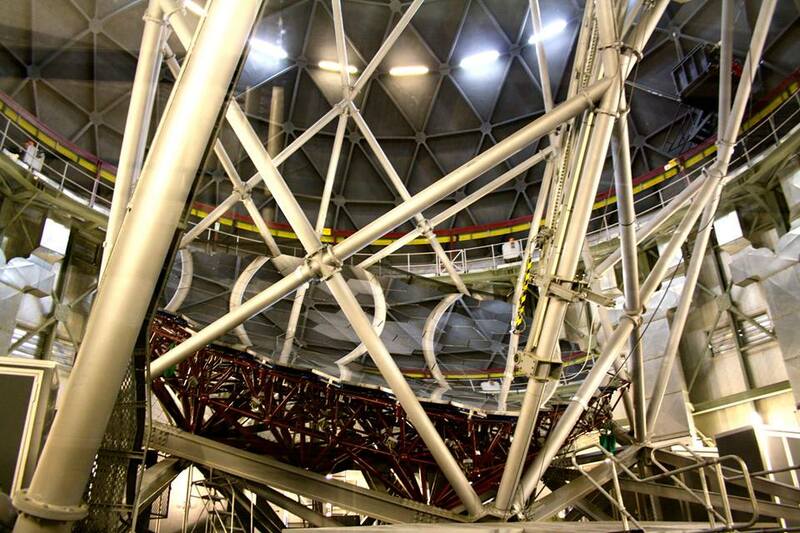 In the arid landscape of South Africa’s northern Karoo, astronomers and engineers are slowly building the biggest scientific instrument in the world. The Square Kilometre Array (SKA) will one day link radio telescopes across the African continent and the Southern Hemisphere, turning much of the planet into a vast ear for picking up the faintest echoes from the early universe. I am interested in the conceptual and representational challenges posed by radio astronomy in general, and the Square Kilometre Array in particular. What kinds of cultural artefacts and images are likely to be produced by the SKA, and what kind of relationship will a non-specialist audience be able to have with them? 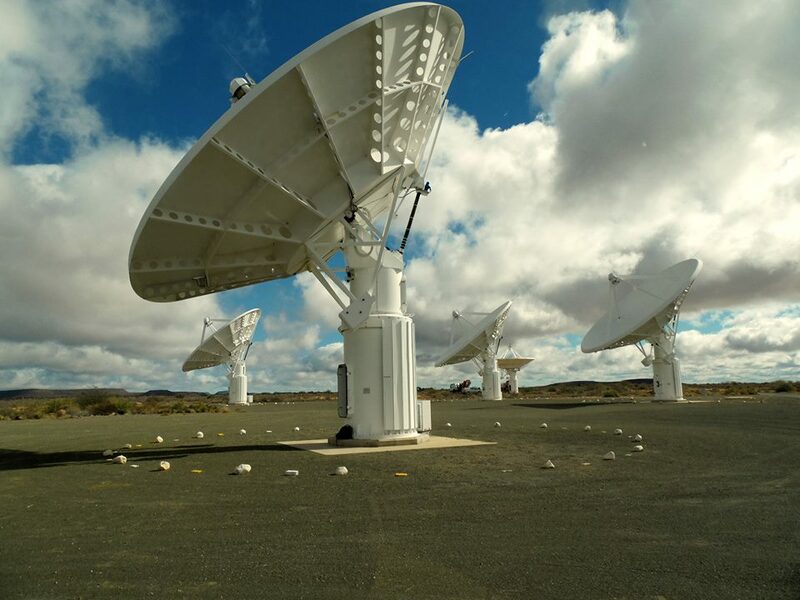 And how can the Karoo array’s unprecedented power to look (or listen) back in time be related to the deep human past that has left traces all through this landscape? Working through a series of images, the enquiry moves from optical astronomy in Cape Town and Sutherland to the radio dishes near Carnarvon, tracing a history of picturing the cosmos and the southern skies. I explore how questions of visuality, imagination and aesthetics might be introduced to the languages of science, policy and public relations in which such a project is most often discussed. If anything, I suggest that the MeerKAT/SKA project asks and needs something more than the modes of public relations, corporate governance, ‘outreach’ and nationalist boosterism that have so far enfolded it, something other than the model in which Big Science commissions an exhibition or subcontracts an artist to bolster its ethos. As it grows exponentially in resolving and computing power, the Array is surely a phenomenon that asks for something other than the literal or narrowly informational. 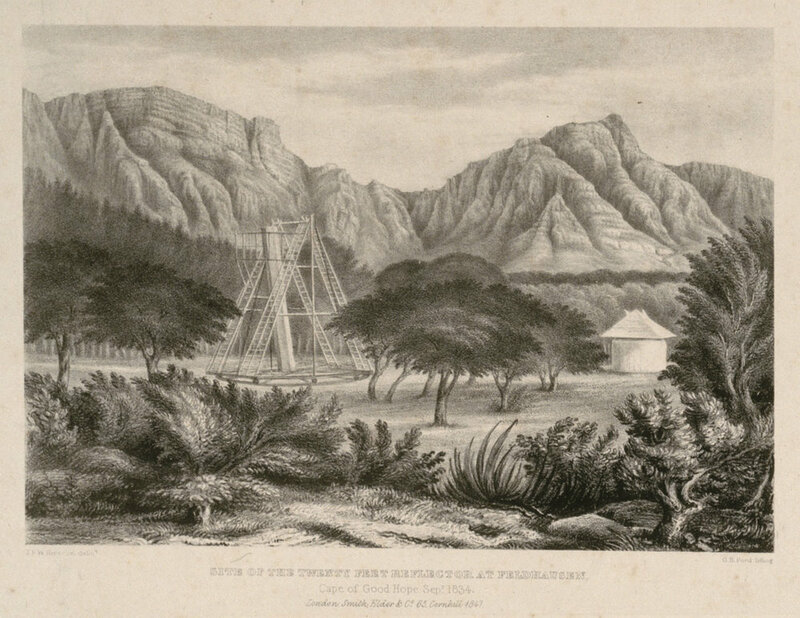 It will challenge writers and artists to work with the conceptual; to linger in the difficult and blurry zones at the limits of representation; to find ways of registering the incommensurate scales and meanings compacted into a Karoo landscape that has often been figured as ‘empty’ but now seems unaccountably full of noise, signal, data and politics. If this story must be written, we must have the courage to eliminate all adjectives that tend to excite wonder: they would achieve the opposite effect, of impoverishing the narrative. For a discussion of stars our language is inadequate and seems laughable, as if someone were trying to plow with a feather. It’s a language that was born with us, suitable for describing objects more or less as large and as long-lasting as we are; it has our dimensions, it’s human. It doesn’t go beyond what our senses tell us. Until two or three hundred years ago, small meant the scabies mite; there was nothing smaller, nor, as a result, was there an adjective to describe it. The sea and the sky were big, in fact equally big; fire was hot. Not until the thirteenth century was the need felt to introduce into daily language a term suitable for counting “very” numerous objects, and, with little imagination, “million” was coined. A while later, with even less imagination, “billion” was coined, with no care being taken to give it a precise meaning, since the term today has different values in different countries. Not even with superlatives does one get very far: how many times as high as a high tower is a very high tower? Nor can we hope for help from disguised superlatives, like “immense,” “colossal,” “extraordinary”: to relate the things that we want to relate here, these adjectives are hopelessly unsuitable, because the star we started from was ten times as big as our sun, and the sun is “many” times as big and heavy as our Earth, whose size so overwhelms our own dimensions that we can represent it only with a violent effort of the imagination. There is, of course, the slim and elegant language of numbers, the alphabet of the powers of ten, but then this would not be a story in the sense in which it wants to be a story; that is, a fable that awakens echoes, and in which each of us can perceive distant reflections of himself and of the human race. Italo Calvino, ‘A Tranquil Star’ (1978). That night they lay down beneath the reeded slats of the ceiling, and above it, unbeknownst to them, some or other half of the 88 constellations. No one talks about Lacaille’s constellations. No one points out the Telescope, the Microscope, the Air Pump. No one points them out, but one feels it is mostly Lacaille’s own fault. A few people talk about Mensa, but almost no one. The constellation of Table Mountain, with its little Magellanic cloud above. No one talks about the Easel, the Compass, the Chisel. Everyone in Sutherland has a telescope and a little astronomy spiel and new ways of tackling the problem of scale. New ways to make things understandable and therefore amazing, and new ways of getting it all wrong. We aren’t able, really, to understand where we are, what is happening to us. You can’t live life in perspective. A few people talk about Mensa, but almost no one. Table Mountain is the only geographical object with its own constellation. The only this, the only that. The only time you’ll see Jupiter, Venus and the moon in this precise alignment. The only time they will be together quite like this, and yet so similar to so many other times. So similar to their other relationships. So similar to every other relationship. Anna Hartford, ‘But Right Now You Must Know More About Heaven’, Kenyon Review (2017). 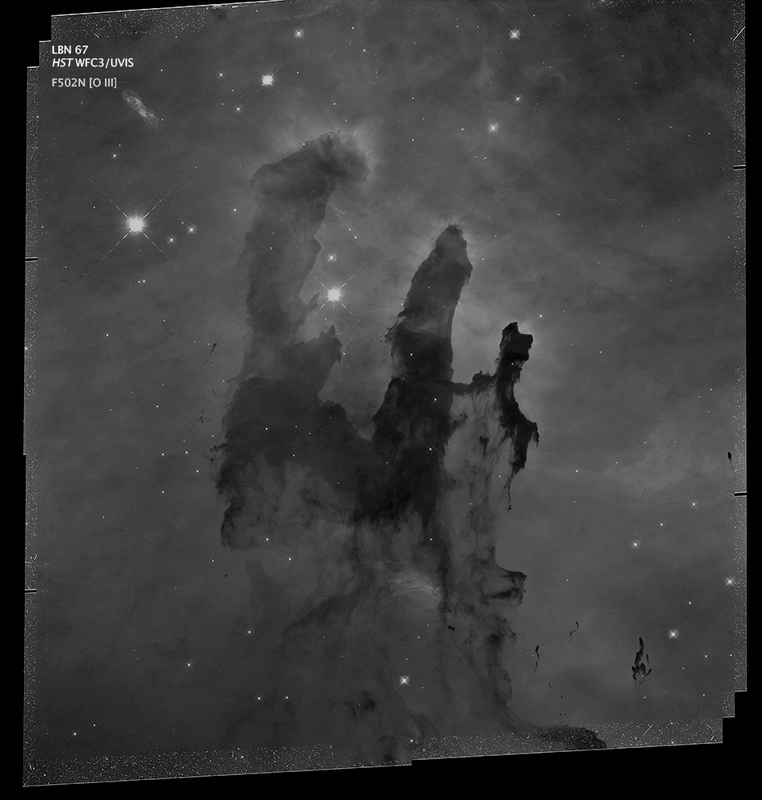 Outside the poison well of sentiment and sensationalism there is a truly lovely desert of astronomical images that do not try to be pretty […] a far cry from the boisterous whirling galaxies that are presented in NASA press releases. The images I am interested in show us things that we can’t possibly be seeing: things so far away, so faint, so large or soft or bright that they couldn’t possibly be contained in the rectangular frame of a picture – and yet they are. They are pictures of objects that literally don’t exist – that couldn’t exist as they are pictured – but somehow do. They are abstractions of abstractions, feeble symbols for objects that have no reality of their own. They are formless things, blurred until they are unrecognisable. They are images of almost nothing, of single sparks of light, of inexplicable blazing colour, of thin lines and dots that stand for objects that cannot be understood. 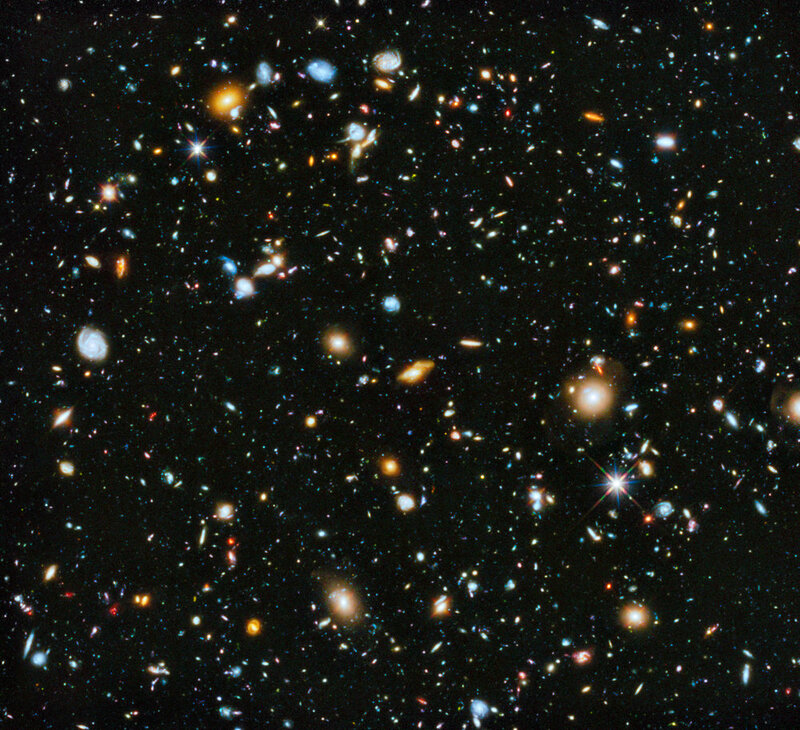 James Elkins, ‘Astronomy’s Bad Reputation’ in Six Stories from the Edge of Representation: Images in Painting, Photography, Astronomy, Microscopy, Particle Physics, and Quantum Mechanics 1980-2000 (2008). I want to ask you a general question about the Nostalgia for the Light, which also relates to your other films. Is it correct to describe Nostalgia as an essay film rather than a political documentary? And if so, what’s the difference between them? That’s a good question. I’ve always thought that the domain of the authored documentary lies somewhere between the documentary and the essay. That’s been my definition for most of my life. We take something from journalism and something from the essay. But our work isn’t scientific, it’s a form of artistic work, so it’s subjective, a matter of ideas, intuitions, comparisons and the juxtaposition of interesting things. But in Nostalgia there is, of course, an element of philosophical reflection on the relationship between human life and the life of the cosmos, on human memory and the memory of the stars, of infinity. It’s a film about the past, a demonstration that the most important thing in life is the past, because the whole territory of the past is fundamental for people and the future. In as much as we are human beings, we are the inheritors of generation upon generation going back to pre-history, and the matter of our bodies is the matter of the stars. We belong to the Milky Way – that’s our home, not just the Earth. I want to ask a question about the meeting with the first of the astronomers in Nostalgia, Gaspar Galaz. You have an exchange with him, and it’s one of the key exchanges in the film, when you say to him that “the present is a fine line”, and he replies “A breath of air could destroy it.” Would it be fair to say that you develop this idea in images throughout the film? Yes. There are two turning points in the film. That’s the first. The second is the meeting with Lautaro Nunes, the archaeologist, when he says that whereas astronomers look millions of years into the past, archaeologists look back tens of thousands of years, but that it’s the same thing. And where are the Indians, both of the north and the south? All the indigenous people have disappeared in the same way they did in the conquest of the Far West. After the war with Peru and Bolivia in the 19th century, the Chilean government expelled all the people who lived there. It was a genocide. In the south, it was the same thing, when all the indigenous people were exterminated over about 60 years. So what kind of invention is Chilean history? It’s a story written by the historians of the Chilean aristocracy who lie systematically. The current student movement doesn’t just want to improve education, they’re also fired by other sources of indignation: poor education, poor health, poor history, poor memory, and a poor political class. I think it’s these things that unify the students and give them the initiative to change things. That’s very positive. I was very happy with Lautaro because all at once he revealed the true depth of the amnesia. It’s not historical amnesia that’s my obsession – the coup d’état, Allende, etc – it’s the amnesia of the hundred years of the life of the republic. ‘Desert of the disappeared: Patricio Guzmán on Nostalgia for the Light’, Interview for Sight and Sound | August 2012. As it happens, the particular frequencies of the waves that LIGO can detect fall within the range of human hearing, between about thirty-five and two hundred and fifty hertz. The chirp was much too quiet to hear by the time it reachedEarth, and LIGO was capable of capturing only two-tenths of a second of the black holes’ multibillion-year merger, but with some minimal audio processing the event sounds like a glissando. “Use the back of your fingers, the nails, and just run them along the piano from the lowest A up to middle C, and you’ve got the whole signal,” Weiss said. Different celestial sources emit their own sorts of gravitational waves, which means that LIGO and its successors could end up hearing something like a cosmic orchestra. 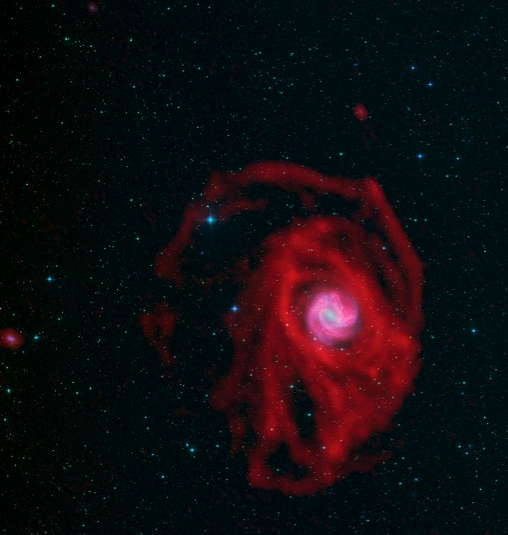 “The binary neutron stars are like the piccolos,” Reitze said. Isolated spinning pulsars, he added, might make a monochromatic “ding” like a triangle, and black holes would fill in the string section, running from double bass on up, depending on their mass. LIGO, he said, will only ever be able to detect violins and violas; waves from supermassive black holes, like the one at the centre of the Milky Way, will have to await future detectors, with different sensitivities. Nicola Twilley, ‘How the First Gravitational Waves Were Found’, The New Yorker | 11 February 2016. ‘Earth-Moon-Earth (E.M.E.) radio is a form of transmission whereby messages are sent in Morse code from Earth, reflected off the surface of the Moon, and then received back on Earth. The Moon reflects only part of the information back: some is absorbed in its shadows or lost in its craters. Will you only focus on liminal images, or mention out-of-bound sound that has been shifted into the realm of human sensory possibility? I remember being fascinated by the singing comet a couple of years ago, where they increased the frequencies of magnetic oscillations in the comet’s environment to the range audible by the human ear. And there’s recently been a recording of the wind on Mars, vibrating the solar panels, that is actually within the range of a human ear. I’m not sure if this makes it more eerie, being such a familiar experience that until now has happened without human witness. Strikes me we’ve been used to having our sense organs as part of our bodies and now find they must be external: the telescope as eye, manipulating electromagnetic radiation, the solar panel as eardrum, quivering in the wind. To some extent this has been happening for a while (spectacles, hearing aids). It made me wonder whether seeing these impossible images might be something like seeing for the first time after being blind, having things too faint, large, soft or bright made suddenly clear. There is a book called 'Space and Sight' about people born blind having their sight restored decades later and how they struggled with what they perceived as visual noise. The problem being not the data but the interpretation, the visual imagination, the way in which signals become meaningful. All images are impossible until they are framed by the brain. I don’t completely agree with you that the sciences differ from the humanities in removing context. Noise is not necessarily context, it is the part of the signal that distracts us from seeing a meaningful picture. 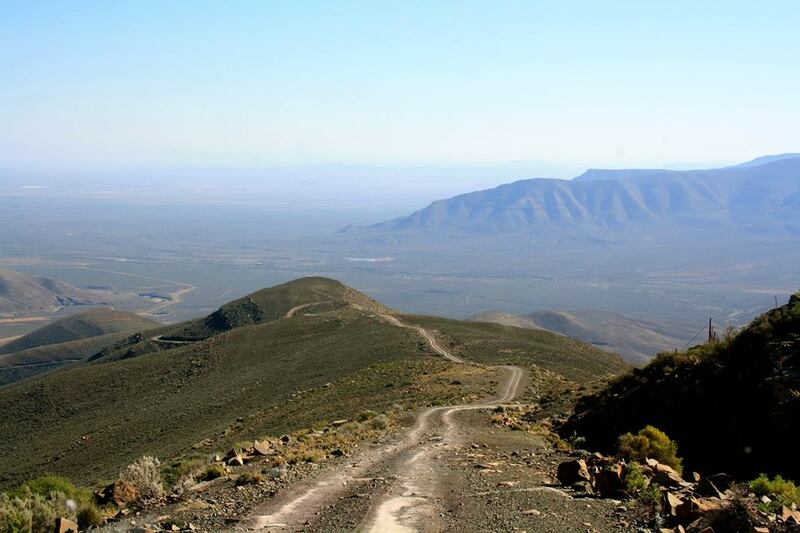 When considering what the SKA project means in the context of the Karoo, you might not include the parts of human history that are too incidental to offer any new meaning to the project. That could be seen as eliminating noise. It’s just the scale that differs. The humanities can’t minimise the signal of its own instruments because signal and instrument coincide. But I do think that the sciences need to include a more human context, in the context of the stories that we tell, science gets away with pretending objectivity.